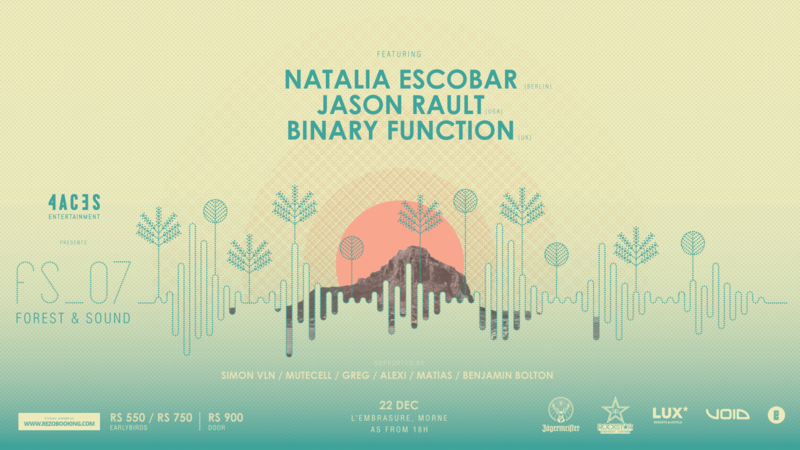 Forest & Sound is an exclusive concept blending together one of the most beautiful nature spots of the Island with a carefully selected Line-up made up with locals and internationals Dj playing on the the best sound system of the island, the VOID’s acoustic. Our aim is to provide a quality and intimate event to create irresistible feelings to fulfil all of your senses. Holder of this ticket voluntarily assumes all risks and danger incidental to any event for which this ticket is issued and waives all claims against the event sponsor, the owner of the facility, the ticket producer or issuer. Admission is subject to compliance with all laws and facility rules and the ticket holder consents to reasonable examinations and searches to ensure compliance. Failure to comply with the law or facility rules may result in refusal of admission or expulsion. No unauthorized recording of event where prohibited.